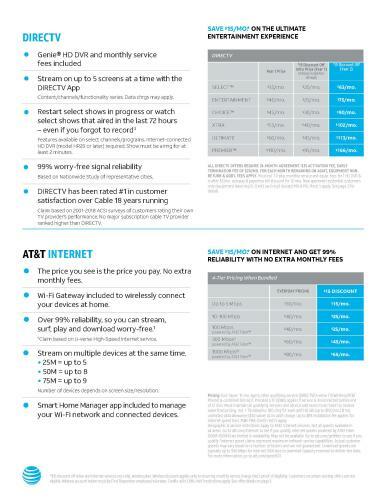 AT&T started offering First Responders discounts on wireless, TV, and Internet products last month, but many of their customers have not heard about it. First Responders are those who respond to 911 calls such as Fire, Police & EMS. Many First Responders already have their service, but are not yet receiving a discount. They just need to visit the AT&T store with proof of employment so AT&T can add the discount. 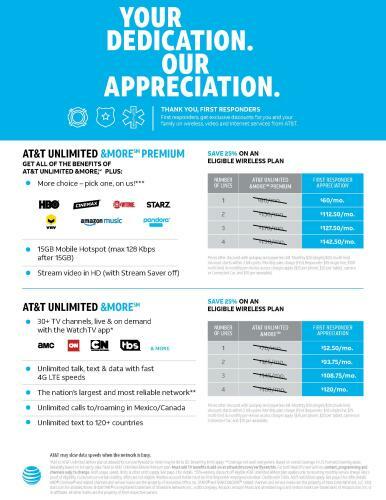 First Responders that already have our service don’t need to purchase anything additional from AT&T to add the discounts. They just need to be on a qualifying wireless rate plan. First Responders give a lot to our community. We would like to give back to them.